Newly freed blacks entered a largely hostile world. 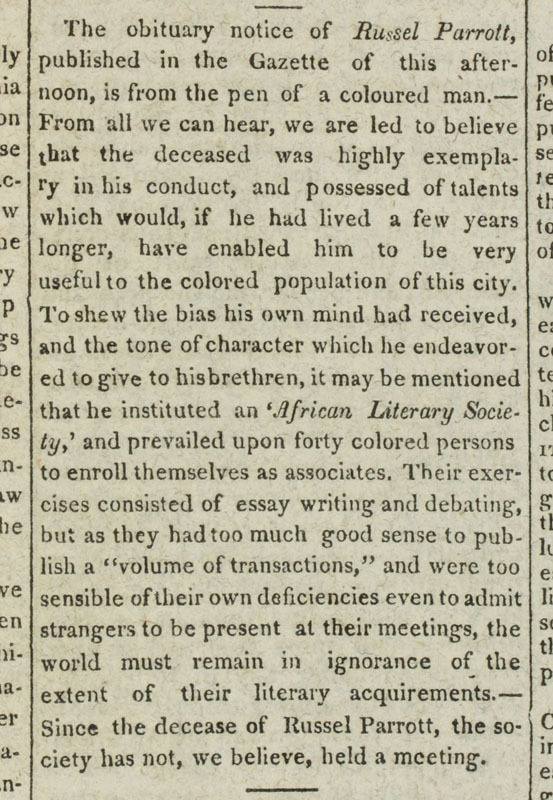 Antislavery groups like the Pennsylvania Abolition Society and the New York Manumission Society were important in providing legal support and in establishing schools, but blacks realized they needed their own organizations to promote their own issues in their own language and fashion. Benevolent organizations, fraternal groups, schools and literary societies and churches emerged to provide blacks with their own space, beyond the control or tutelage of whites. 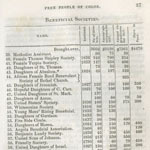 Philadelphia’s free black population grew from about 240 in 1780 to 1,849 in 1790, over 6,000 in 1800, and 8,942 by 1810; an increase from 2.1% of the total population in 1780 to 10% by 1810. Their numbers were drawn from emancipation in Pennsylvania and parts of the upper South, the inevitable draw of the big city to country folks, and fugitives fleeing to the new possibilities of freedom in the North. Many whites were shocked by this growth, fearful of being overrun by blacks, and urged restricting black emigration into the state or removing them to some distant western territory. In the face of this opposition the new black leadership struggled to create an organizational life to help assimilate these growing numbers into a viable community. 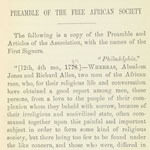 “Preamble of the Free African Society,” in William Douglass, Annals of the First African Church, in the United States of America, Now Styled the African Episcopal Church of St. Thomas, in Philadelphia (Philadelphia, 1862). 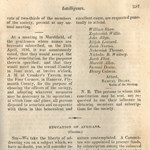 The Free African Society was organized in December of 1787 as a multipurpose organization. It functioned as a benevolent society to sustain sick and infirm blacks, monitored the moral and family life of the community, and by 1791, became an independent black nondenominational church. 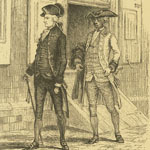 Former slaves Richard Allen and Absalom Jones were the principle leaders of the Society, and though they would be friends and allies for many years, they divided over the religious future of the group. Though both had Methodist beginnings, Jones would be drawn to the Protestant Episcopal Church, and led a contingent of Free Africans to organize the African Episcopal Church of St. Thomas in 1794. Allen and his followers would leave the Free Africans and, in the same year, found Bethel African Methodist Episcopal Church. 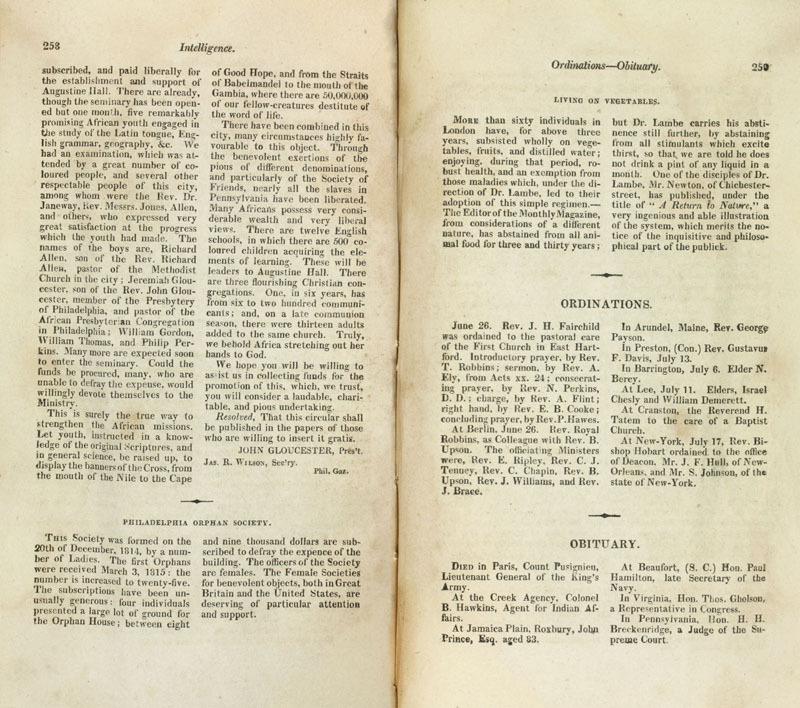 With the organization of St. Thomas, the Free African Society’s function as a benevolent organization was subsumed by the Friendly Society of St. Thomas’s African Church. 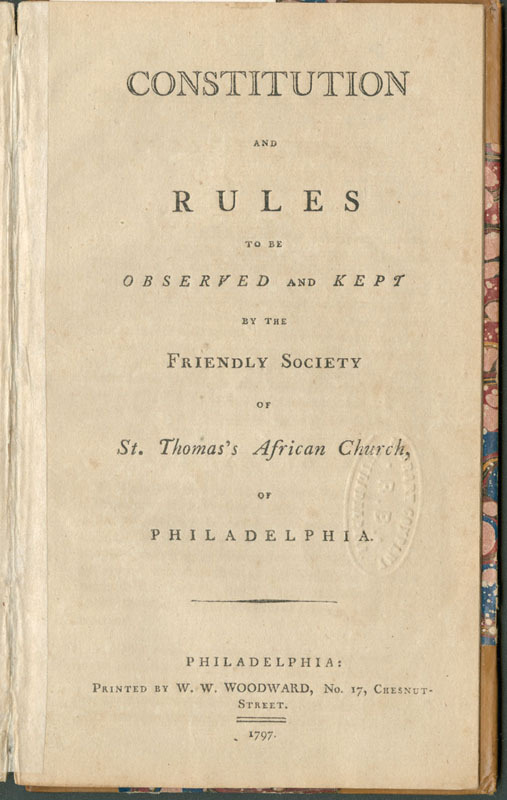 Constitution and Rules to Be Observed and Kept by the Friendly Society of St. Thomas’s African Church, of Philadelphia (Philadelphia, 1797). 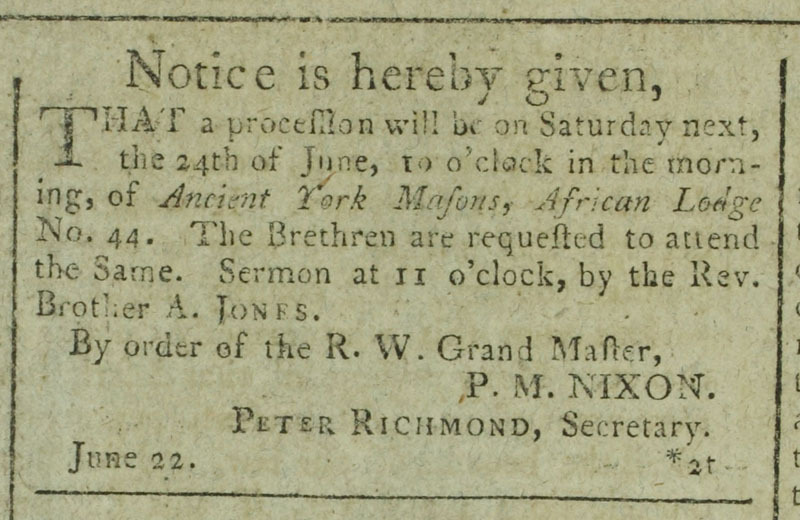 Advertisement for the Ancient York Masons African Lodge Parade, in Gazette of the United States, June 22, 1797. Life in Philadelphia. Plate 6, etching by Edward Williams Clay (Philadelphia, 1828). African Masonry began in Boston during the British occupation when British Masons chartered a group organized by Boston black leader Prince Hall. 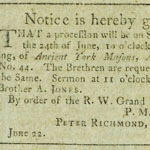 In 1797 Absalom Jones, Richard Allen, and James Forten, rejected by the city’s white Masons, called on Prince Hall to help organize Philadelphia black Masons. On June 22, in a bold assertion of equality, they held their first celebratory parade at the same time as the white Masons’ parade. 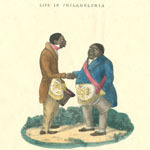 The Masonic movement grew among Philadelphia’s growing black middle class, who built their first Masonic Hall in 1815. Whites resented the black organization as a debasing infringement on white privilege, another instance of blacks’ arrogant assumption of equality. 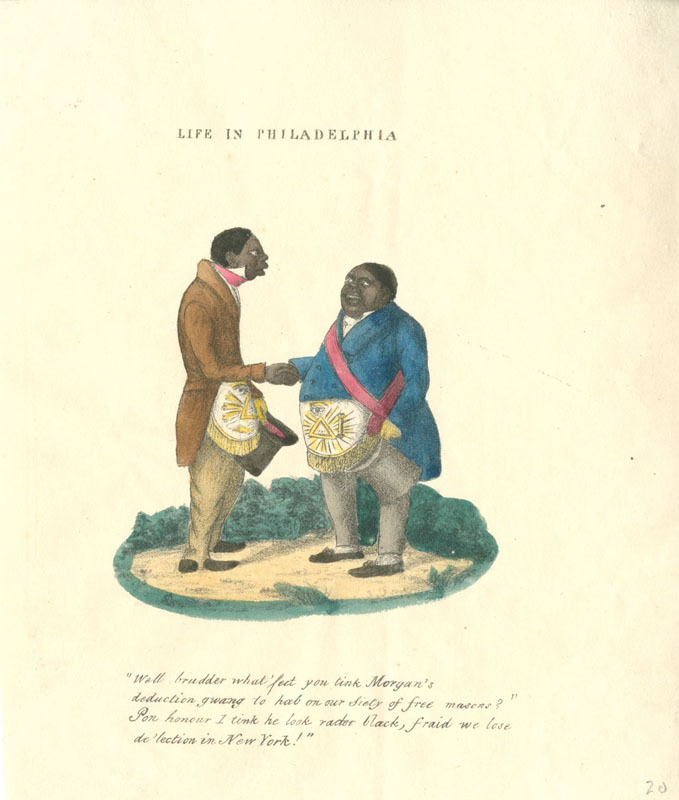 A Philadelphia cartoonist captured the mood in his 1828 caricature of the black Masons as buffoons, one of several of his cartoons caricaturing Philadelphia’s growing black middle class. 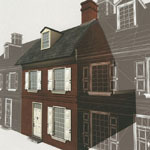 Digital recreation of the Dexter house. Courtesy of the Antoinette Westfal College of Media Arts & Design, Drexel University. Several of the Free African planning meetings for the African Church in 1792 and 1793 were held at the home of James Dexter, on 5th Street above Arch. And though slavery was on the wane in the city, there were plenty of reminders nearby—around the corner and down the block at Sixth & Market Streets, where President and Mrs. George Washington lived attended by nine slaves. 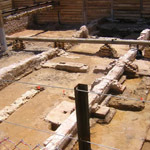 Two of them, Martha Washington’s attendant Oney Judge and the Washington’s prize chef Hercules, would escape to freedom in Philadelphia, probably assisted by neighboring free blacks. 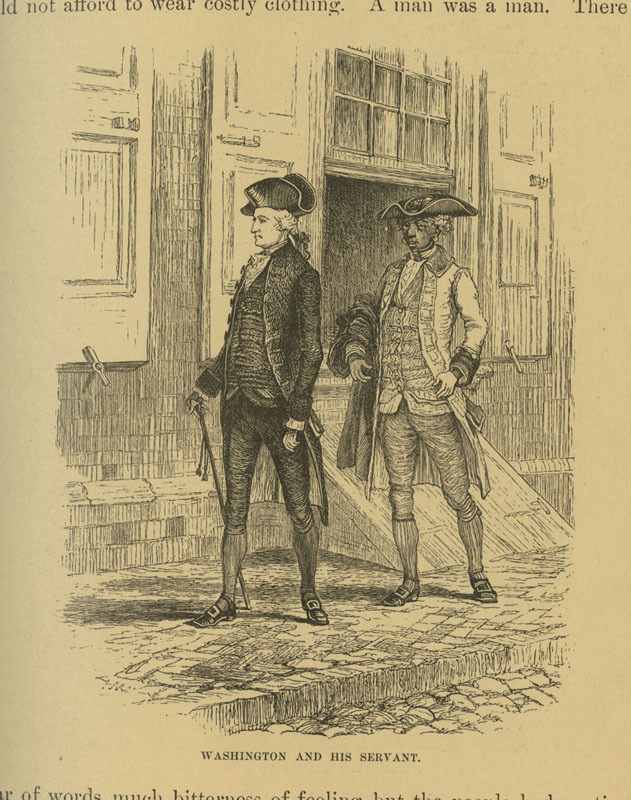 Illustration “Washington and his Servant” from Charles Carleton Coffin, Building the Nation: Events in the History of the United States (New York, 1885). 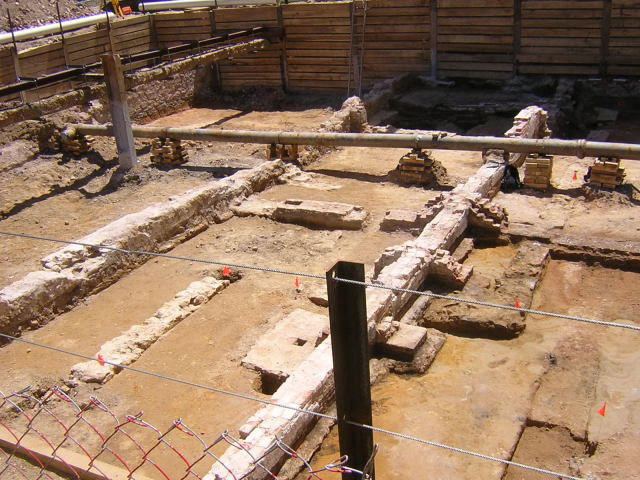 Archeology at the President’s House showing the passage connecting the slave quarters to the main house. Courtesy of President’s House Philadelphia. The following two items are rare survivors, the original manuscript documents of two early African American benevolent societies. Both functioned to provide financial assistance to infirm members and burial funds for the deceased. And both policed the conduct of their members and held them to account for immoral behavior. 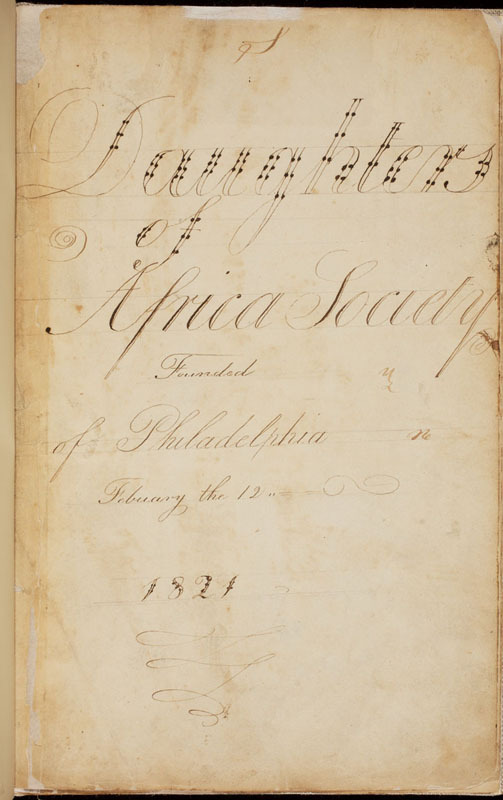 Manuscript minutes of the Daughters of Africa Society, Philadelphia, 1821. 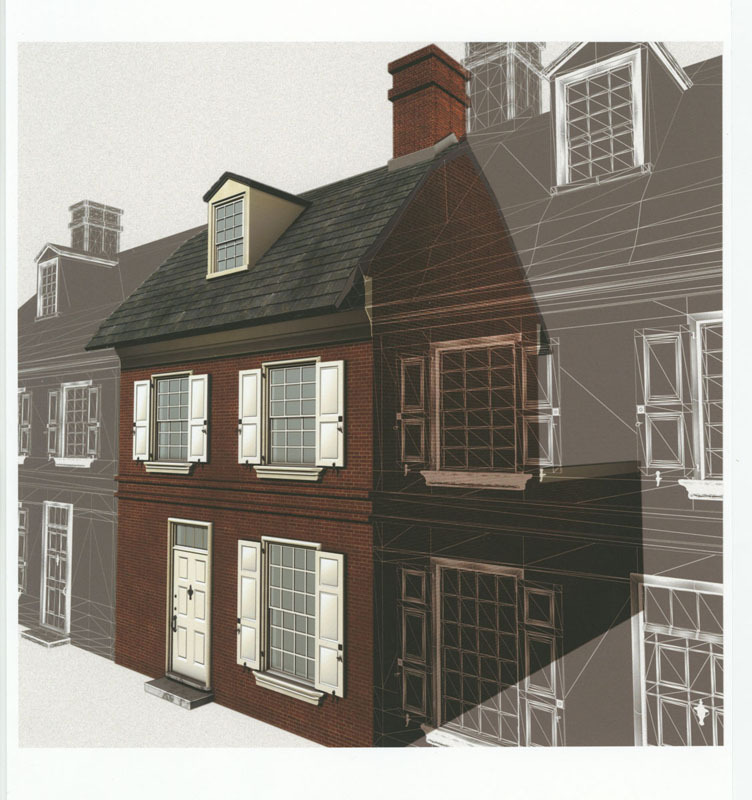 Courtesy of the Historical Society of Pennsylvania. 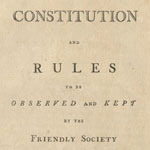 Constitution of the Brotherly Union Society of the County of Philadelphia. 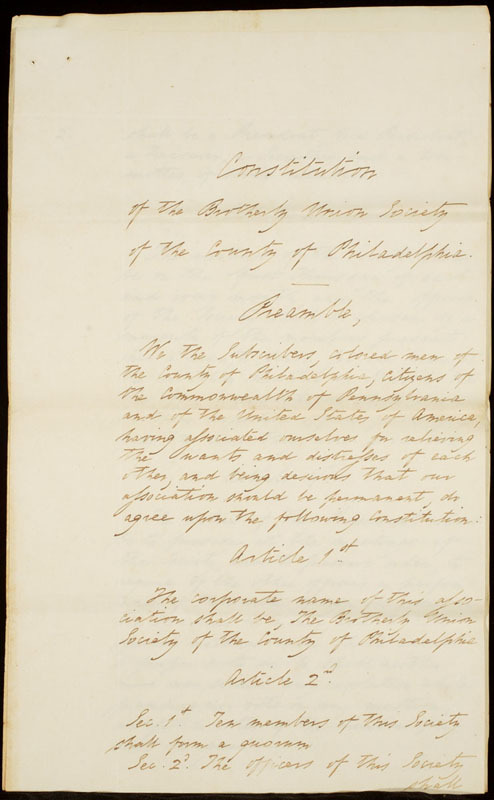 Manuscript, Philadelphia, 1823. 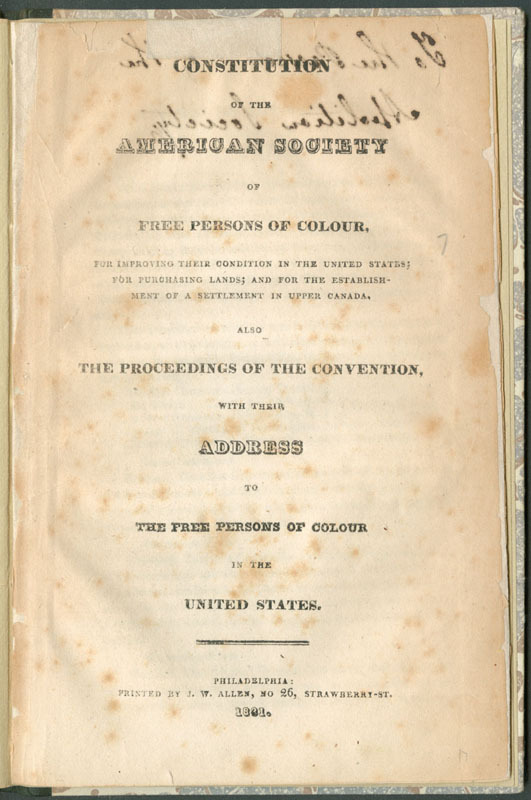 The Present State and Condition of the People of Color (Philadelphia, 1838), lists eighty black benevolent societies active as of 1838. Note the Brotherly Union Society, number 10 on the list, is one of the largest, with 234 members and $782 on hand, after paying out $684 the previous year. 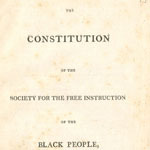 The Constitution of the Society for the Free Instruction of the Black People, Formed in the Year 1789 (Philadelphia, 1808). 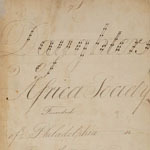 A fortunate few Philadelphia African Americans had limited access to education: Anthony Benezet’s school, organized in 1759; a school sponsored by the Bray Associates (British Anglican philanthropists) in the 1760s; the Society of Friends’ school following Benezet’s, and schools supported by the Pennsylvania Abolition Society, employing black instructors by the 1790s. 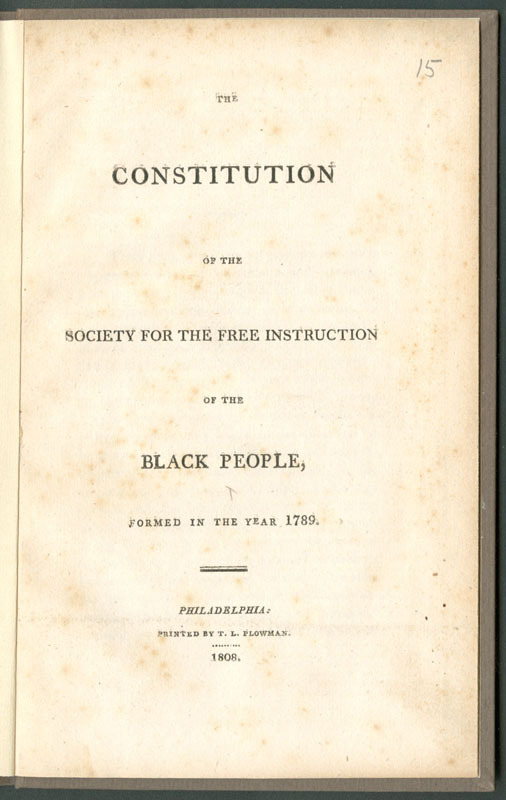 Shown here is the Constitution of a Friends’ school for the instruction of black adults. And blacks themselves organized their own schools. In the 1790s both St. Thomas Church and Bethel Church had small schools. Cyrus Bustill and Quomony Clarkson launched efforts in their homes. And in study groups and reading circles literate blacks spread literacy on an “each one teach one” basis. 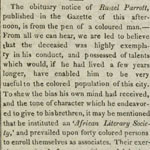 Obituary notice for Russell Parrott, in The Philadelphia Gazette, September 10, 1824. We know little of these early blacks’ reading beyond the Bible and spellers and grammars, but one example is interesting. 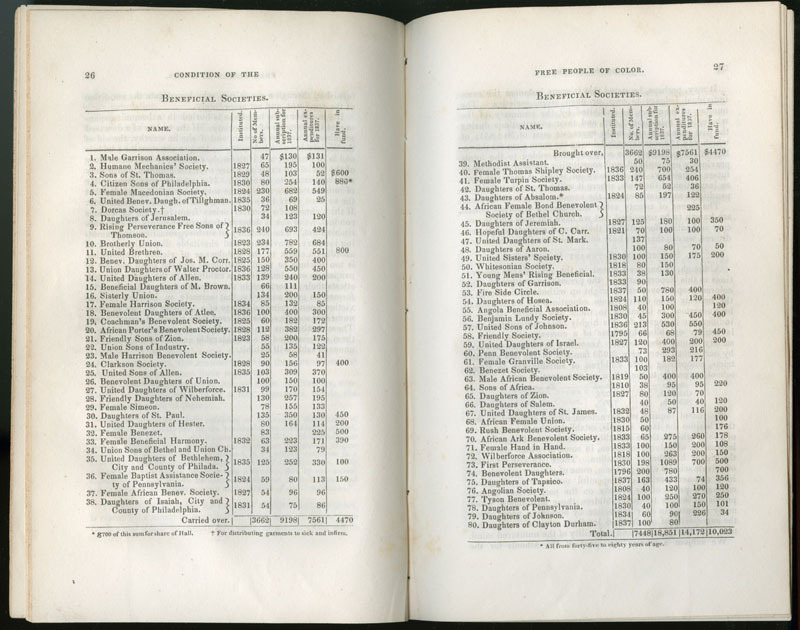 In 1795 when Philadelphia printers Archibald Woodruff and John Turner solicited buyers for their proposed lush folio volume, The Whole Genuine and Complete Works of Flavius Josephus, both Richard Allen and Absalom Jones were subscribers. John Gloucester, “Education of Africans,” in The Christian Disciple, Vol. IV, No. 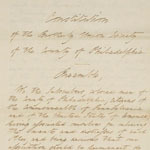 8 (August, 1816). 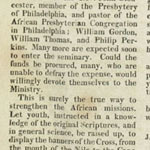 In this announcement the Presbyterian minister John Gloucester, along with Richard Allen and Absalom Jones, solicits aid for the Augustine Society, a seminary “to educate African youth for the Gospel Ministry, by giving them a classical and scientifick [sic] education, preparatory to theology.” After a month in operation the seminary had “five remarkably promising African youth engaged in the study of the Latin tongue, English grammar, geography, etc.” The “African youth” included Allen and Gloucester’s sons. 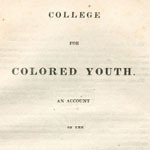 College for Colored Youth. 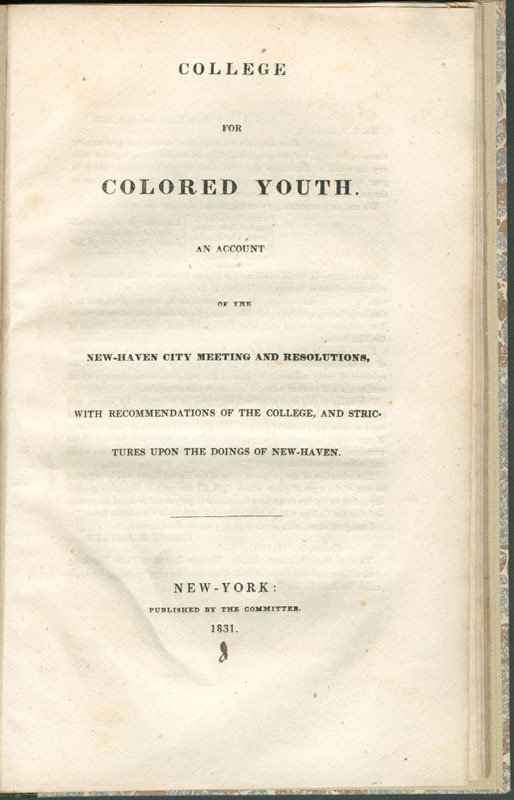 An Account of the New-Haven City Meeting and Resolutions, with Recommendations of the College, and Strictures upon the Doings of New-Haven (New Haven, 1831). 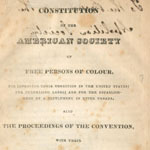 Constitution of the American Society of Free Persons of Colour, for Improving Their Condition in the United States; for Purchasing Lands; and for the Establishment of a Settlement in Upper Canada. 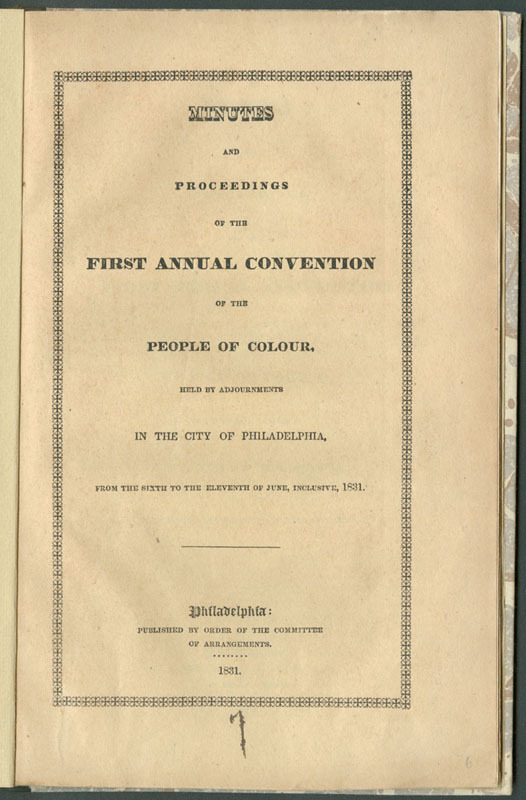 Also, the Proceedings of the Convention, with Their Address to the Free Persons of Colour in the United States (Philadelphia, 1831). 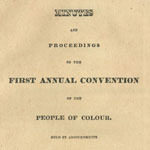 Minutes and Proceedings of the First Annual Convention of the People of Colour. 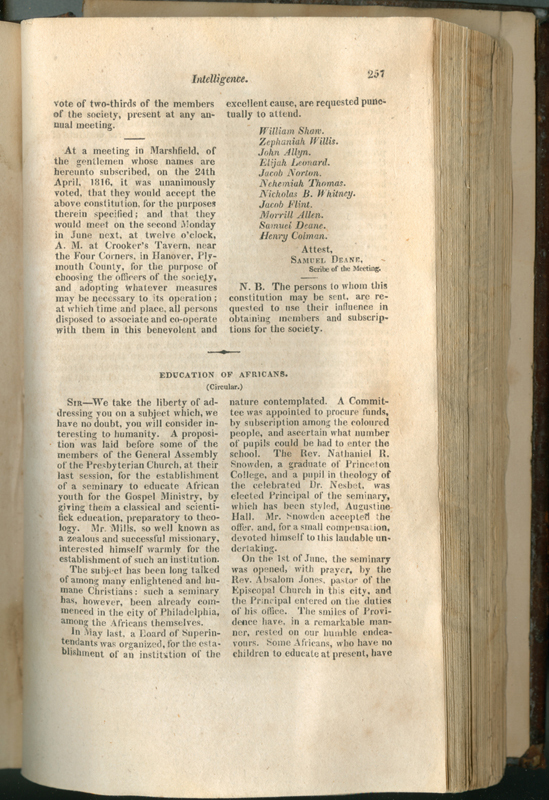 Held by Adjournments in the City of Philadelphia, from the Sixth to the Eleventh of June, Inclusive, 1831 (Philadelphia, 1831). At the end of his life, Richard Allen, founder of the first national African American organization, organized the second, the national convention of African American representatives that would meet regularly for the next decade and periodically thereafter. The preliminary Convention of September 20, 1830, dealt with an emergency. Indicative of the rising racism of the 1830s, Ohio banned the immigration of free blacks and required black residents to register and pay a bond, allegedly to insure their good behavior. Many were obliged to flee the state. Canada had offered lands for settlement in western Ontario, and Ohio blacks flocked to Canada to establish new black communities. These communities were a magnet for enterprising blacks and grew steadily. After the passage of the Fugitive Slave Law in 1850, they became the northernmost terminus of the Underground Railroad.